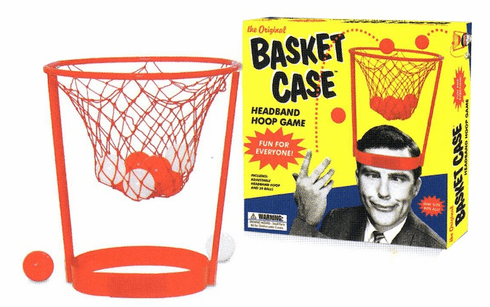 With the Basket Case head hoop, you'll feel like you're doing a physical challenge on a game show! Just strap this to your head and try to put the balls in the hoop, or have others throw them. Hours of wacky fun.